Jim is our newest Marketing and Loss Control Representative. 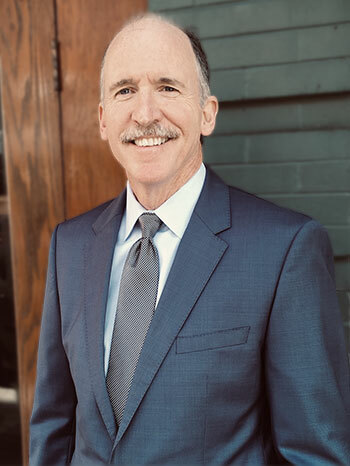 A lifelong resident of Virginia, he comes to Southern Mutual with over twenty years of experience in the insurance industry, a proven track record of building relationships with accounts as well as extensive experience in field inspections and loss control surveys. Jim brings exceptional customer service skills and a demonstrated ability to work independently along with strong communication skills and an ability to accomplish goals. Jim says he loves to get out and interact with customers and truly enjoys helping people, which is why he enjoys the insurance industry. When not working with clients or helping our policyholders Jim enjoys spending time with his wife of thirty one years, recreational cycling and he also volunteers with the local bike share in Roanoke. On Saturdays in the fall you can find Jim and his family pulling for their favorite team, The University of Tennessee Volunteers. GO VOLS!! We are so thankful for Jim and all he does for his team, our policyholders and SMCI! Welcome Jim!